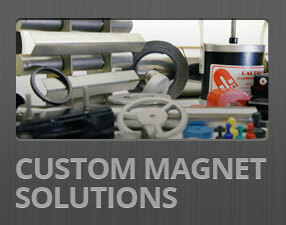 Magnets are pretty amazing objects that are used for a variety of applications. 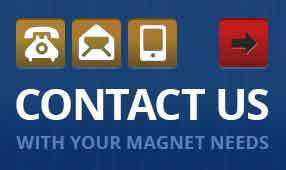 Though there are many different types of magnets, the two that compete for magnetic supremacy are neodymium magnets and ferrite magnets (also referred to as ceramic magnets). Neodymium magnets: This type of magnet has found increased popularity in recent years, for both recreational and commercial usage. These magnets are smaller than ferrite magnets but actually offer more strength. They also have an increased resistance to thermal stress and greater durability. Ferrite magnets: These magnets have benefits as well. They are easier to magnetize, they cost less and offer a higher level of resistance to corrosion. This eliminates the need for multiple layers of coating for protection. Become demagnetized when exposed to temperatures above 480 degrees Fahrenheit. So, which magnet is best for your project? It really depends on the application, but the slight advantage goes to neodymium magnets. Along with the benefits mentioned above, they also offer a higher magnetic field strength, coercivity (resistance to demagnetization) and miniaturization. 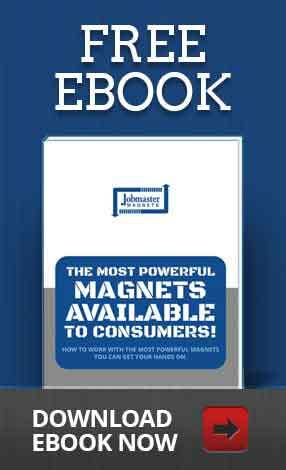 When choosing a magnet, there are a few major things to consider. The costs of the magnets, the size of the system you want to put the magnet in, the strength needed from the magnet and what you need it to do overall. It’s up to your personal needs in the end. If you’re looking for either of these magnets, or a variety of other magnets, contact the experts at Jobmaster Magnets.